The Hot Swap feature allows you to place the HMT into very low power consumption mode and swap out the removable battery. 1. 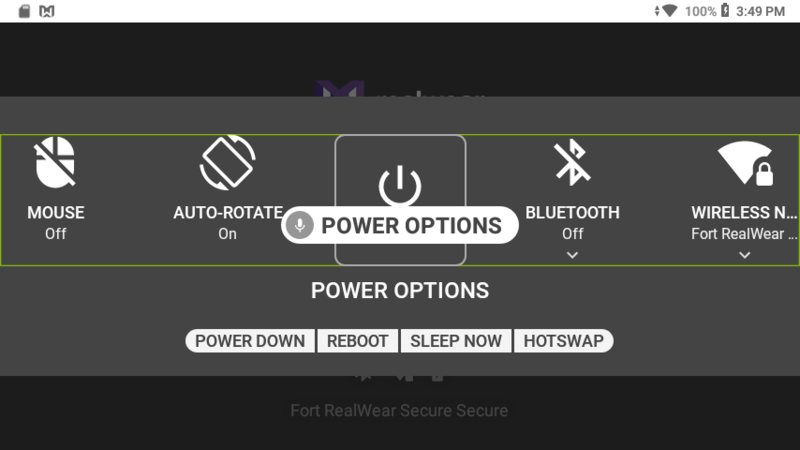 Choose “HOTSWAP” from Power Options in My Controls. 2. 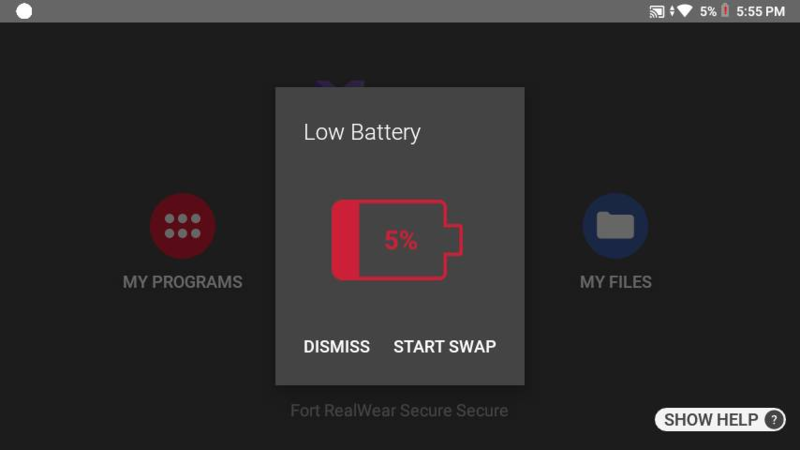 Choose “HOTSWAP” from the options in a low battery warning screen. When selecting hotswap, the HMT will show a message, “Ready for swap?” Say “START SWAP” to start the battery swap process. The HMT will verbally announce it is preparing for swap, the screen will go dark, and the power button will blink red. Replace the battery within 5 minutes to maintain the current state of the system. As soon as battery is replaced, press the power button. The HMT will resume operation as it if came out of sleep mode.